As buildings become smarter, elevators are becoming faster. Discover how and where the world's fastest elevators are moving. 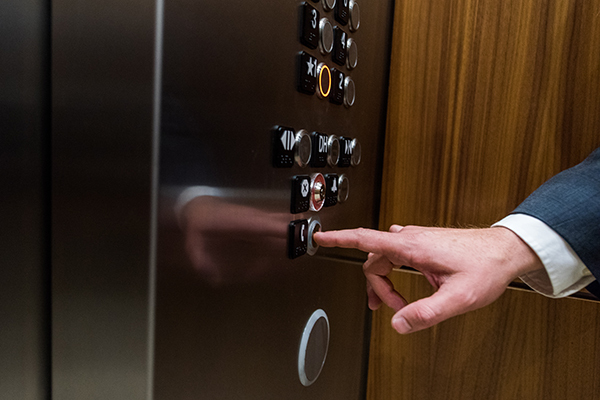 Elevators can now be considered a staple among most properties. In fact, you’re not likely to find many public buildings without at least one elevator. And, what’s a common complaint among tenants/residents? Long waiting times. It seems that we all may have a bit of a need for speed. So, let’s talk fast elevators. Here’s a look at some of the fastest and most unique elevators around the world. If you want to experience the world’s fastest elevator rush, you’ll have to first travel to China. Because of the country’s rapid urbanization, skyscrapers are booming, along with the desire for fast, tall elevators. The estimate is that 40% of all elevators will be located in China by 2020. The second-largest elevator market: India. It’s more of a practical concern than bragging rights -- the desperate need to move many people at once. Hundreds of thousands of elevators and escalators have been installed in China over the past 20 years, totaling nearly 4 million units. That’s more than four times the number in the United States. According to The Guinness Book of World Records, the official fastest elevator in the world is located in Shanghai Tower Unit OB-3 (China), as of July 7, 2016. It travels at 45.8 miles per hour (73.8 km/hour). Shanghai Tower has broken other records as well: this skyscraper also boasts the world’s tallest elevator in a building (2,074 feet, or 632 meters) as well as the world’s fastest double-deck elevator. The Burj Khalifa in Dubai is the only skyscraper in the world taller than Shanghai Tower, but its elevators move at barely half the speed. Revving up closely is another elevator located in China, in the southern city of Guangzhou. The CTF Tower, which stands at 1,739 feet, features an elevator that powers upward from the lobby to Floor 95 in only 45 seconds. That’s 65 feet per second (20 meters per second). Incidentally, the CTF Tower is the tallest terracotta building in the world. The elevator features a high-tech air pressure adjustment system that protects ears from popping and blocks G-force backlash. The result: a smooth (and quick) ride. 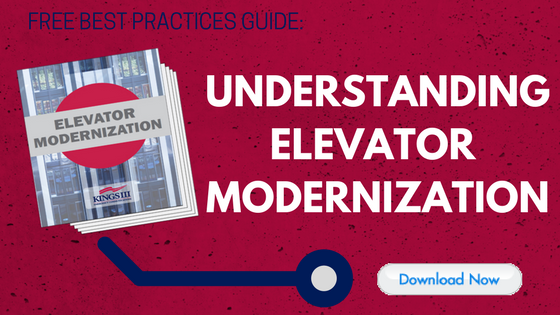 Click here to learn ways to reduce elevator emergencies and entrapments. Now for a bit of future shock: when the Jeddah Tower in Saudi Arabia is completed in 2019, it will be the world’s tallest building. For this marvel, the Finnish company Kone has developed the”ultrarope” elevator, using a carbon-fiber cable strong enough to lift an elevator more than one kilometer in length, yet consisting of one-third the weight of traditional elevator ropes. The ultrarope elevator will be able to travel over 33 feet per second and reach the building’s highest livable floor in just 52 seconds. North America: slow but steady? Speed may be less of a priority in the west. The fastest elevator in North America is located at 1 World Trade Center in Manhattan, running at 23 mph. You’ll notice that is a large difference from the previous numbers stated. In Chicago, the John Hancock Building rises to a height of 1127 feet (549 meters), and its elevators run 549 meters per minute. This iconic landmark is no longer the tallest building in the city (it’s third in line, after the Sears Tower and Aon Center), but Hancock’s elevators are actually faster. The race for speed has two Japanese companies vying for the global lead: Mitsubishi and Hitachi, both of them competing for large contracts with companies all over the world looking for an amazing elevator blastoff. Japanese technology had originally pioneered high-speed “bullet trains,” also manufactured by Hitachi and Toshiba, and has spawned the interest in faster elevators. Competition is coming from Hyundai in South Korea, which has plans to begin testing 50 mph elevators. The ride may be a rush, but ultimately, faster elevators do not serve a practical purpose other than bragging rights, tourist attractions (and marketing advantages). The most important aspect of an elevator is that it is safe. No matter how fast or modern the elevator, it needs the latest and most dependable emergency communications. Make sure your elevators’ emergency phone solutions are up to speed- Kings III solutions help to reduce risk, liability and cost.